Nowadays every business relies on technology to some extent to perform their everyday business tasks. 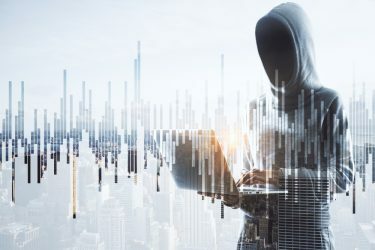 However, as our reliance on digitalisation and computers evolves, data and privacy are becoming a primary concern, with an increased prevalence of cyber-related crimes. Figures have indicated that one in ten businesses in the UK will become the victim of cybercrime. Consequently, businesses are naturally accessing the impact data breaches and cybercrime would have on their own businesses. A 2018 UK Government survey revealed that 43 per cent of businesses and 19 per cent of charities reported cybersecurity breaches in the last 12 months. If businesses do not pay attention to the risks involved and introduce precautions against breaches, they could severely damage their business with little to no warning. Regardless of the size of your business, cybersecurity can affect you; therefore it is important to acknowledge that your digital processes, data, and client information are all exposed to the threat of cybercrime, opening you up to liability and fines. Hackers know that business owners rarely have time to invest in obtaining specialist advice and security measures around their data. This is why, cyber-crimes such as phishing, ransomware, and worms are ever-evolving and growing in intelligence. To improve a firm’s cybersecurity, business owners should ensure they generate awareness and educate staff on the matter, as well as this, they could implement a cybersecurity and disaster recovery strategy. For further advice on how we can help protect your business against cyber-crimes, get in touch today. The information required by the ‘Provision of Services Regulations’ is on display at our office.